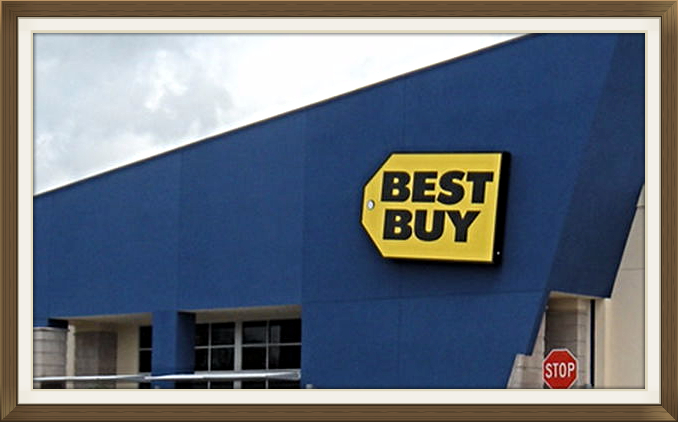 Best Buy is known for their electronic products, digital media devices and home appliances. Online shoppers are always looking for ways to save their hard-earned money by buying quality electronic products that offer affordable prices. Best Buy is a huge retail store that has been a trusted source of consumer electronics for years, and because they have many loyal customers online and offline, they can still offer promo codes all year round, increase purchases via this kind of marketing structure and still make profit. There are many ways to save money when buying their products online. Check their Deal of the Day as well as Bonus Deals of the Day. These are the deals that offer free shipping and are discounted for only one day. You can also subscribe to their store’s email list so that you’ll be informed of their huge sale or free shipping days. Reliable big companies will never send spam emails but only to inform potential customers of their upcoming sales and deals. They stand behind their products sold in their Best Buy Outlet as a reputable authorized dealer. Online shoppers should be careful on buying open-box, pre-owned and refurbished products especially electronics not coming from reputable and authorized dealers because they are not backed by return and exchange, covered under warranty and verified to work properly. You can save tons of money if you choose electronic products not wrapped in original packaging through Best Buy’s open-box, refurbished and pre-owned items. Their open-box refers to those products returned by customers, packaging were removed to display the items, or packages that were only opened to inspect for damage during shipping. These products are thoroughly inspected, tested and are covered by the same warranty as other unopened items to ensure that they function properly. You can save your hard-earned money through this deeply discounted items due to the fact that they’ve been opened. Their pre-owned items are the products that have been used, then returned to the store through their Trade-In program. Every product is checked, cleaned and restored to full working order. However, some or all the accessories may not be included and generally the product is no longer placed in its original packaging. They usually offer a limited warranty on their pre-owned items but you should not worry buying them because they are backed by their Return & Exchange Promise. Refurbished include items that had defects right out of the box. These products are repaired by their qualified technicians and made to function like-new condition. Opt for the Factory Refurbished Electronics, because these products come with the manufacturer warranty and have been very carefully tested and brought to their original standards. Best Buy offers assurance that their refurbished products work and that they all come with a warranty via their famous Return & Exchange Promise. You may check their “Best Buy Outlet” for refurbished, pre-owned and open-box electronics to see their latest sales and deals. You may also view all their deals that offer free shipping too. Avail of additional savings through cash back using Ebates when you buy products at BestBuy.com. Ebates get a commission from the online stores when you make a purchase through their store affiliate links. So instead of keeping that money, they share it with their online shoppers. Ebates offers Cash Back at thousands of online stores and it’s simply like getting paid to shop online. You may sign up for a FREE Membership so you don’t miss out on savings. Ebates shares their commissions with its members and four times a year or more, they'll mail their members a big fat check, or transfer the money to their PayPal account based on their preference. They can also send the money to their favorite charity all 100% free. Before you shop online, make sure to check reliable and known websites that offer coupons, free shipping and coupon codes like DealsPlus, RetailMeNot and Coupons.com to save you 10% or more on your purchase at Best Buy. Couponsaledeals.com is affiliated with Coupons.com and all our coupons are reliable and work well with Best Buy too. View the Best Buy Weekly Ad and look for a great deal with special sale prices every week. Avail of the “My Best Buy” program. As a part of this program you can earn points for purchases as well as returns/exchanges. Free Standard Shipping on orders of at least $35 from BestBuy.com. Once you can reach Elite status, you can enjoy Free Shipping and Free Scheduled Delivery all year long on all of your BestBuy.com purchases with no minimum purchase required. The Elite Plus members receive Free Expedited Shipping and Free Scheduled Delivery all year long on all of the purchases with extended return and exchange periods. You can also receive certificates that go toward your next purchase and early access to special sales. Signing up for this loyalty program is completely free, and for every $250 you spend, you’ll get $5 back in reward certificate which will expire in 60 days. You can use My Best Buy MasterCard (which was formerly the Best Buy Reward Zone MasterCard) to finance your Best Buy merchandise interest-free or to earn reward points, and avail of all the benefits. Their special financing offers a 0% interest rate for a specified time and purchases of at least $149 are eligible for 6-month financing while purchases of at least $399 are eligible for 12-month financing. You can earn 1 point for every $2 spent anywhere else. If you love to shop electronics online, you can easily upgrade your account to Elite status by spending at least $1,500 in one year and upgrade to Elite Plus by spending $3,500 a year. The free membership offers returns and exchanges accepted for up to 15 days and this will be extended up to 30 days for Elite, and 45 days for Elite Plus. You can also receive discounts and invitations to exclusive events for Elite and Elite Plus status each year and Best Buy offers more valuable perks. The Elite status grants a 10% bonus to points, while the Elite Plus grants a 25% bonus. If you become an Elite or Elite Plus cardholder, you can have your own dedicated phone line and your points will not expire. Take note that there are other things that you need to consider when you apply for a credit card such as balance transfer fee, penalty and late fees and among other things although if you spend a lot at Best Buy and never forgets to pay your credit card balances off in full, every month, then this card may be worth getting. They match the product prices of key online and local competitors at the time of sale. Best Buy price match products shipped coming from and sold by major online retailers like Amazon.com, Newegg.com, TigerDirect.com, Bhphotovideo.com, Crutchfield.com, Dell.com, and HP.com. If they lower their price during the return and exchange period, they will match their lower price, upon request. Their Price Match Guarantee covers one price match each identical item, every customer, at the current pre-tax price available to all customers. Take note that their Price Match Guarantee does not cover the online prices of retailers that are not listed above. They don’t offer price match for contract mobile phones sold by any online retailer, products shipped from or sold by third-party sellers (known as marketplace sellers) on websites, Best Buy for Business transactions and marketplace items, competitors' service prices, special daily or hourly sales, any financing offers, bundle offers, mail-in offers, coupon offers, free items, pricing errors, items that are advertised as limited quantity, clearance items, open-box items, refurbished items, pre-owned items, out of stock items, credit card offers, gift card offers, rent/lease to own items, and items for sale during the holidays. You can request a price match from BestBuy.com when making a purchase, or during the return and exchange period. Their online price match requests are handled via phone. You can simply call 1-888-BEST BUY (1-888-237-8289) for a price match request. Just tell them about the lower price that’s still in effect that you want Best Buy to price match. They will then review and verify the price match request through your request. A price match request after a purchase from BestBuy.com can be requested either by the person to whom the item was shipped, or by the person who was billed for that particular purchase. You can show "proof" of price by bringing in the competitor's current ad or notify them of the website address of the designated major online retailer. They may call the competitor's retail store or check their website address of that designated major online retailer in order to verify the lower price and availability of the said item. So hold on to all your receipts for a while because Best Buy will retroactively price match for a couple of weeks if the price will go down. If you have an .edu email address, then you can easily sign up for College Student Deals at Best Buy. As a student, you can really save because you’ll be sent exclusive coupons and coupon codes via email. You can easily enter these promotional codes under the “Payment Method” at checkout online or bring your coupons to any Best Buy retail store. Avail of their rebates and instant rebates. You can even look for a coupon that offers instant rebates with your purchase, and this can save you up to $60 from your online purchase. Choose to buy discounted items. Best Buy are known to offer discounts up to 50%-75% off and dollar-offs that will let you grab more savings with every purchase. You can easily manage an online registry with their Best Buy Wedding Registry. They have a curated list by using a simple wedding registry search and sharing options. In this way, your friends and family can easily find your registry. They also offer group gifting, making it easier for wedding guests to get the wedding gifts that you like. The “Group Gifting,” allows guests to contribute toward anything on your registry that costs $200 or more. They give you extended returns and exchanges with their registry so that you’ll have time to see if the gift will work for you prior returning it. If you’re a wedding guest who is looking for the perfect gift, Best Buy carries unique gifts for newlyweds of all kinds. You can easily find their online registry by searching their website. They also carry gift cards and offer a wide variety of great gift ideas for couples since they have unique wedding gifts for every couple. You only need to be signed in to your BestBuy.com account to create a registry. If you don't have one, you can create a free account that gives you access to My Best Buy member benefits. Purchase Energy Star qualified products because this can save you tons of money in the long run since they use less energy and cost less to operate compared to other products. You can use Energy Star’s savings calculator and check out how much money these Energy Star products can actually save you. Look for rebates that are currently available for Energy Star products in order to save you more money. You may use their rebate finder for additional savings. Your home electronics use a lot of electricity when they are turned on, but many AV electronic devices and computer equipment that go into stand-by continue to consume electricity, even after you had turned them off. Constant electrical usage have many names known as "vampire energy," "phantom load," "stand-by," or "idle current" and they are all leaking electricity. It wastes electricity in your home coming from your tablets, HDTVs, blu-ray players, video game systems, AV receivers, cell or smart phone chargers, computers, printers, lamp shades, music players, scanners, and more. Stand-by energy uses only a fraction of what equipment uses when it is fully on, but it still adds up fast once you don’t turn them off. It increases your electric bills and your carbon footprint. Take note that the energy needed for your home's stand-by power waste is usually generated by coal burning plants that pollute our air, or coming from nuclear power plants that generate radioactive waste. These are all bad for our health that is why turning off any stand-by energy is important for all of us. Avoid getting extended warranties because a lot of gadgets and electronic devices that you buy these days have a fast depreciation value so it could cost you less to replace any of them than to fix or cover. You may consider using a credit card with a protection policy which usually doubles the manufacturer’s warranty for free instead of buying a warranty for any of your device. Best Buy always releases a new movie but more often, they have a huge amount of inventory, so it’s best to wait a few weeks to purchase one. Best Buy may offer a lower price compared to Amazon during the first week when a new product is being released at the time of the sale. Make sure you are updated on promo codes so that you’ll know when they will offer price drops. Best Buy sometimes do this for their high-selling products, or they slash prices off from all of their overstock items. Avail of their price-adjustment policy. If they place any product that you bought on sale within 14-15 days of your purchase (this varies on what specified return period was it for your item), you’ll be able to receive a one-time price adjustment on that particular product with the lower price. Be careful too upon purchasing some of their items because there are particular products that shoppers should avoid buying from Best Buy like gadget accessories. These are headphones, HDMI cables, tablet and phone cases, or memory cards. These are usually not discounted as the giant retailer knows a lot of customers are buying a good deal on a new tablet, smart phone, phablet, or television and will need to get the extra accessories to it so they don’t offer them low. If you can’t see promotional codes for free shipping, Bestbuy.com still have lots of discounted products under their free shipping category on their website. They offer popular deals with discounts plus free shipping which gives buyers the chance to save more money and come back again to their online store. The good thing about shopping at Best Buy is that, they are known to have a solid reputation of standing behind their products, even those pre-owned, refurbished, and open-box items. These are all covered if there is any problem. They are there to help you with any of the repair, replacement or return. Bestbuy.com has so many products on its online catalog every day and they always have sales and deals, discounts as well as money-saving coupons that you could use with every purchase. You can easily save on electronic devices and digital media appliances with Best Buy coupons from Coupon Sale Deals. Best Buy sells home appliances and you can save up to 20% off by using promotional coupons, free shipping or coupon codes. They have one of the best electronics as one of the world’s largest retailer of HDTVs, smartphones, video and audio equipment, and more. When it comes to electronics, you can get great sales and deals at Bestbuy.com and save by using coupons and coupon codes from Coupon Sale Deals. They have a website that is easy to navigate with a simple click and a huge selection of phablets, iPads, home appliances, televisions, cell phones, smart phones, computers, and other modern technology that will show up. Get the latest high-tech device with a low price guarantee, meaning you’ll not find anything in your online cart cheaper at another online retail store but in case that you do, Best Buy will match it. Their returns are great because they offer customers a 15-day window for it. Enjoy various media and high-tech gadgets with a Best Buy free shipping, coupon codes, and promo codes online. Please take note that we are an affiliate of Best Buy so therefore try to do your own research when trying to purchase any of their products or services when you are being directed to their official website coming from this web page.